Ever wanted to walk in the footsteps of Mary and Joseph along the nativity trail? Stargazer Holy Land Tours promises that you will experience what it was like as you journey from Nazareth to Bethlehem, just like they did over 2,000 years ago. Not only will you step where they stepped, but you will do it in style. The tour promises luxury yurts, the finest Jewish cuisine, and an expert tour guide. But sometimes the amenities in the brochure are just too good to be true. Join the retired pastor and his wife, a newlywed couple, a travel critic, a photographer, and two missionary interns as they quickly realize their tour guide doesn't really have a clue where they are or what he is doing. Will the weary travelers overcome the scorpions, dehydration, land mines, man-eating lions, Bedouin bandits, poor accommodations, lack of food, and the incompetence of their tour guide? Will they reach Bethlehem by Christmas? Running Time: about an hour. A: A few camping and mission trips that didn't quite go as planned. A: This is a tough one, but I think the part when everyone realizes they are camped in a minefield. A: Mostly my imagination. The characters of Teisha and Joyce however, are based loosely on my childhood friends who I grew up with and who were/are like sisters to me to this day. A: It's easy to lose your way on the trails of life, but if Christ is our guide we will make it to our final destination. 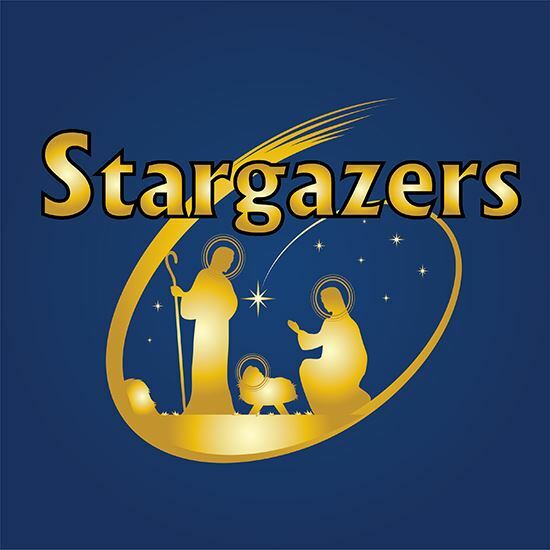 A: It's great to 'Stargaze' and be amazed by the stars, but let's never forget who made them.